1 hose Shisha Pipe to hire for your event. The hire includes unlimited charcoal, foil, mouth tips, assorted molasses flavours and wind covers (Health & Safety). 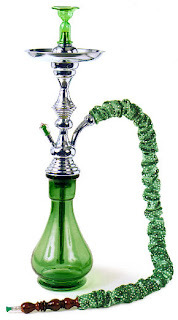 Minimum order is 5 off single hose shisha pipes.